Ford is celebrating the production of its 10 millionth Mustang – America’s best-selling sports car of the last 50 years and the world’s best-selling sports car three years straight. 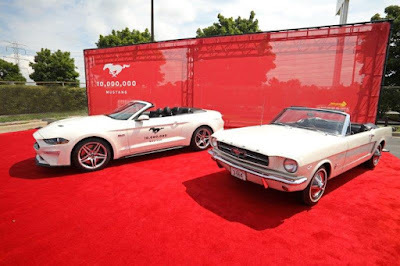 The 10 millionth Ford Mustang is a high-tech, 460 horsepower 2019 Wimbledon White GT V8 six-speed manual convertible equipped with the latest driver assist technology and built at Ford’s Flat Rock Assembly Plant in Michigan. The first serialised Mustang (VIN 001) produced in 1964 was the same colour and model with a three-speed manual transmission and 164 horsepower V8. 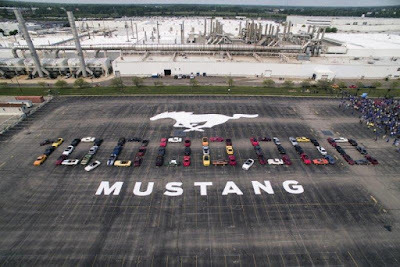 Ford is celebrating the milestone with employee celebrations at its Dearborn headquarters and its Flat Rock Assembly Plant, U.S., including flyovers from three WWII-era P-51 Mustang fighter planes and Mustangs produced for more than five decades parading from Dearborn to Flat Rock, where the Mustang currently is manufactured. 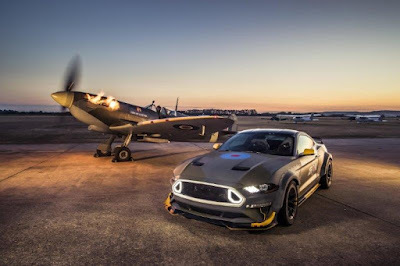 Mustang is America’s best-selling sports car over the last 50 years, based on Ford analysis of 1966-2018 total U.S. new vehicle cumulative registrations for all sports car segments supplied by IHS Markit. Ford has sold over 7,000 in the UK since it first went on sale in 2016, and more than 38,000 Mustangs across Europe in the same period. Last year, Mustang outsold the Porsche 911 in 13 European markets, including the U.K. and Spain. 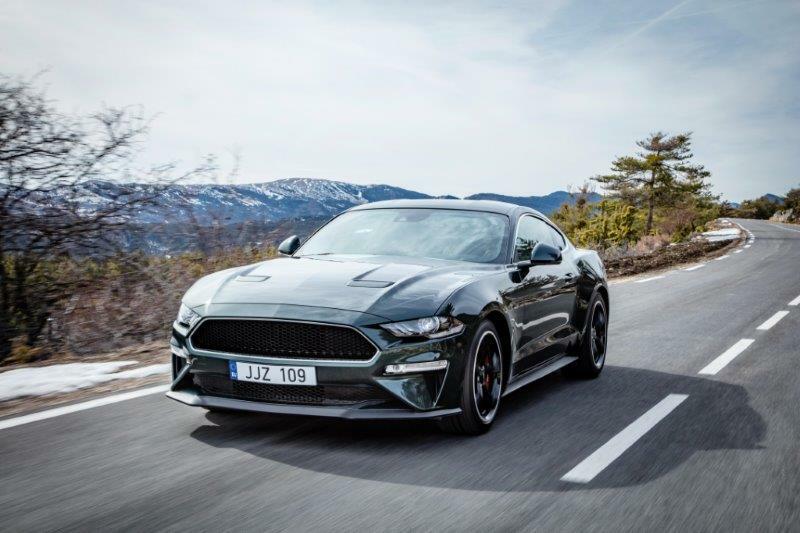 The leading five European markets for Mustang sales in 2017 were Germany, the U.K., France, Belgium, and Sweden. In 2017, Mustang GT was the best-selling V8 sports car in the UK, with over 1,500 sold. Announced earlier this year, the special edition Ford Mustang Bullitt celebrates the 50th anniversary of the legendary Warner Bros. film. Powered by an enhanced 5.0-litre V8 engine, Bullitt has now sold out its special edition production run for the year in the UK, with vehicles due to arrive later this year. In addition, the one-of-a-kind Eagle Squadron Mustang GT, driven on the Goodwood Festival of Speed Hill Climb by Vaughn Gittin Jr., raised $420,000 at the recent charity auction for the Experimental Aircraft Association’s youth aviation education programs. The latest Ford Mustang offers more technology, exhilarating performance and more personalisation than ever. The new Ford Mustang features a more athletic exterior, and an upscale interior with soft-touch materials and 12-inch digital instrument cluster. Enhanced powertrains include Ford's 450 PS 5.0-litre V8 and 10-speed automatic transmission for 0-62mph acceleration in 4.3seconds. A six-speed manual transmission option is equipped with Ford’s new rev-matching technology for smoother, faster downshifts accompanied by a “blip” of the powerful engine. Advanced driving technologies include MagneRide® adjustable suspension, selectable Drive Modes and a new Active Valve Performance Exhaust that delivers an innovative Good Neighbour Mode for early-morning or late-night driving. New driver assistance technologies include Pre-Collision Assist with Pedestrian Detection and Lane Keeping Aid. The Ford Mustang is now in its sixth generation. 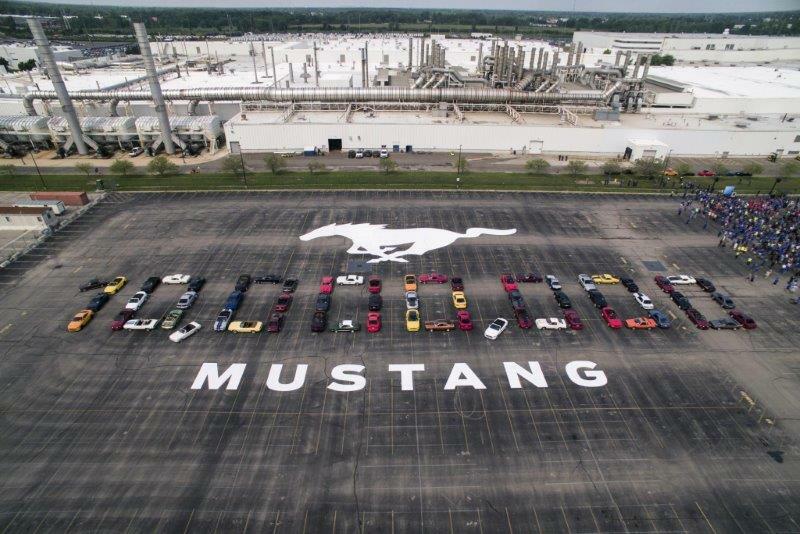 In addition to its sales leadership, the Mustang page has more likes on Facebook than any other vehicle nameplate. BID Group Service with a Smile!